Originally known as West Pickering Automobiles, Pickering Volkswagen has been servicing the Greater Toronto Area and Durham Region since 1992. We’ve been proud to offer outstanding service to Volkswagen customers in the area for the past 25 years. 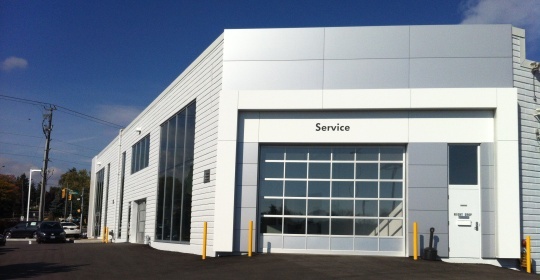 Our newly renovated Pickering Volkswagen dealership provides our customers a state of the art, climate controlled and drive-in service reception. Our brand new waiting area, showroom and wireless internet access will enhance your Ontario Volkswagen service experience. Contact our VW Service Team to find out more. Our Volkswagen technician team boasts one VW Master Technician and a combined 93 years of automotive technical experience in Ontario. All of our technicians are Volkswagen factory trained experts who specialize in keeping your Volkswagen performing at its best. Whether you are looking to arrange your first Volkswagen service or you are inquiring about a major repair, we are committed to providing competitively priced Volkswagen Original Service and Original Equipment Volkswagen Parts to our Pickering customers. Pickering Volkswagen has you covered for everything from a simple oil change, right up to complex bodywork on your Volkswagen. Our team is experienced in all sorts of warranty repairs, or in performing upgrades like performance exhausts or turbocharger replacements. To enjoy huge savings on your Pickering VW service, visit our monthly Service Offers & Specials. We feature discounts on your A/C System Service, your Volkswagen Brake Flush, your engine oil filter/ air filter and more. View your local Volkswagen Service Offers in Pickering. Just in time for summer, or right after winter, our Pickering VW Detailing Department can restore your VW car or SUV to its factory condition. We can undertake a complete restoring of the VW paint in your vehicle or eradicate all debris that keep lingering on your upholstery and/ or VW floor mats and carpets. Contact your Pickering VW Detailing Department for a discussion and to find solutions to your paint problems. Pickering Volkswagen is an approved maintenance and repair vendor for Transportaction Leasing & Foss National Leasing. Please Call (866) 659-5999 (TOLL FREE) or (905) 420-9700 ext. 326 (Local) To Book A Service Appointment With Us.